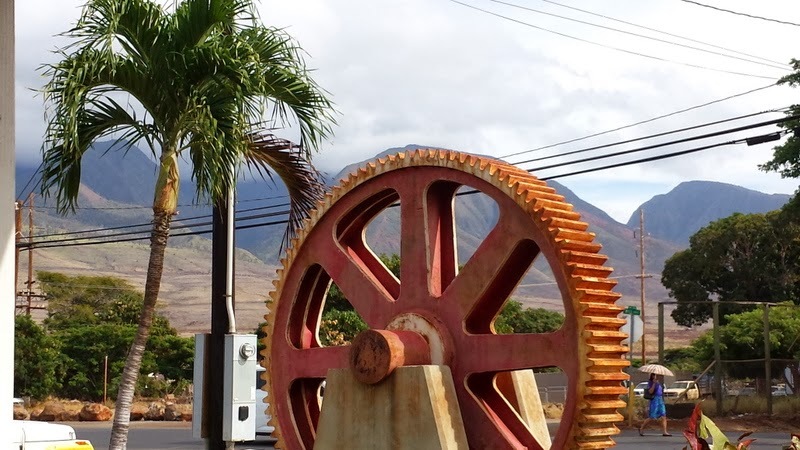 True or False: Most things in Hawaii are imported? Here I am living on a small island in the middle of the Pacific Ocean. How do most things get to Hawaii (myself included)? Imports. From the frozen pizza you pick up at the grocery store to the gasoline for your car. It is all flown or shipped in. For my first gift boxes (flat rate USPS boxes....it's the only way to go), I wanted to send some Hawaii made treats back to my family. And I can't just count on chocolate covered mac nuts. There's only so many that a person can eat. So....gifts and coffee. I like coffee. And that's new in the past 8 years. I made it all the way through college and a few years beyond not drinking coffee. And then it happened. I think it came with switching from an "on my feet" job to an office job. I went to more meetings and trainings. And we drank coffee. You drink it with people. I remember visiting my Grandma for Christmas one year and we all went out for breakfast. And I've been ordering coffee ever since. Coffee is also a favorite gift from Hawaii, though most people think of Kona coffee, which comes from the Big Island. 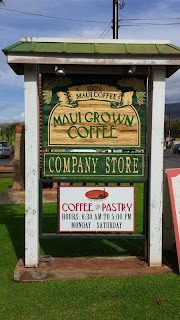 I decided to go local and visit Maui Grown Coffee here in Lahaina. I walked in and said that I had recently moved here, liked coffee and wanted something local to send home as a gift. I enjoyed a complimentary coffee sampling, selected some gifts for the fam, and sat down on the front porch with my iced mocha. A big first in my short time living in Hawaii. It was my first time receiving a Kama'aina discount. 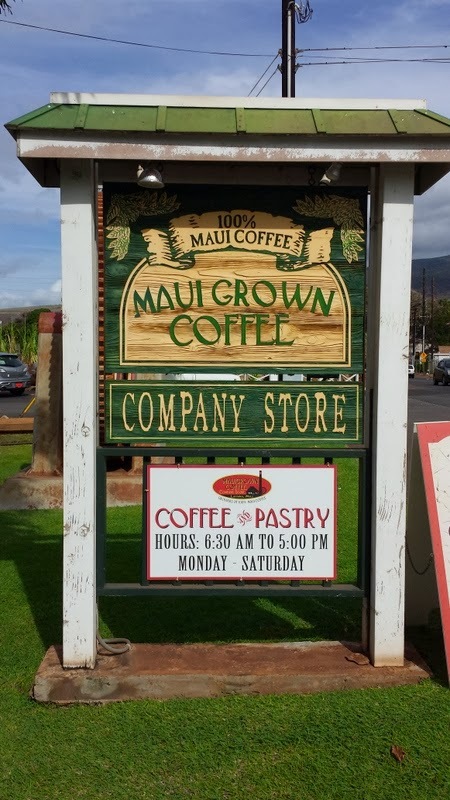 Why is this post labeled Maui Grown Coffee (part 1)? Because I can go and take a self-guided tour through the coffee plantation here on the west side of the island. And that, my friends, will be part 2! Have you tried a locally produced product where you live recently?